Description: Beck worked in Lebanon Town Ship Lancaster County Pa. 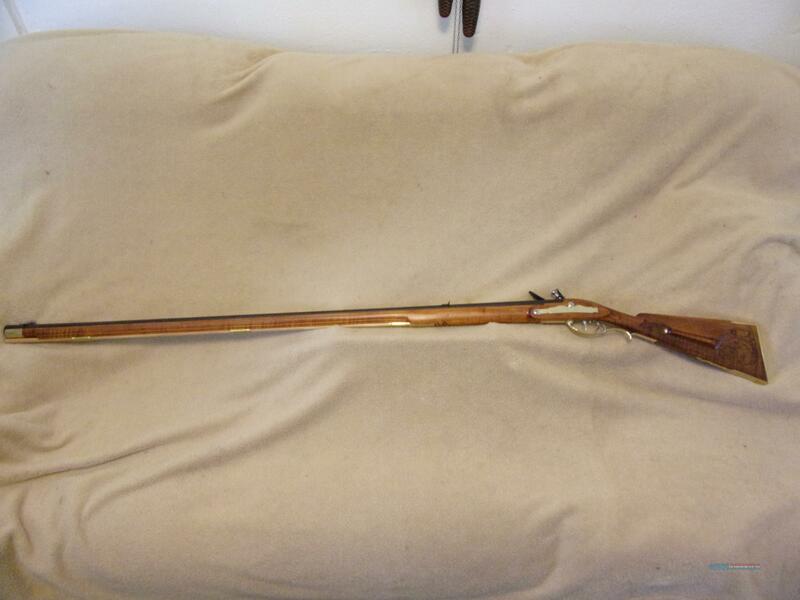 This rifle is from 1770. It has a 45 cal. 44" Rice (swamped) Barrel, a Chambers Lock, Davis set trigger double bar, 3 lbs. unset 9 oz..set. A Chambers White Lightnin Touch Hole Liner. Nice figured Curly Maple stock oil finished, browned barrel and screws are timed. LOP 13 3/4" wt. 8lbs. 2 oz. Comes with a soft case. This would make a great target rifle..